On Tuesday, November 20, the author leads a new 2-1/2 hour VoiceOverXtra webinar, Commercial Voice-Over Delivery Secrets That Will Make Your Head Explode! A part of the training will be how to create a "back story" to the script, and reprinted below with permission, is an excerpt about that from the author's best-selling book, V-Oh! 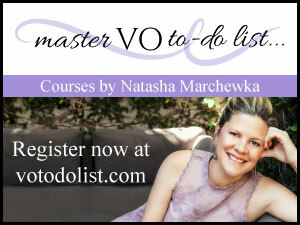 Tips, Tricks, Tools and Techniques To Start And Sustain Your Voiceover Career. One of the most important - and easiest - things you can do to sound conversational in your voice-over read is to start the conversation beforehand - establishing a back story. I do this almost every time I get behind the mic to perform a commercial spot, particularly when I have to read copy that's awkwardly written or full of advertising-ese: ad copy that's chock full of ad buzzwords and phrases that we'd never say when talking to each other on a day-to-day basis. There's always one sure way for you to tell if you've gotten a great deal. When you can buy more for less! Now, that is true savings! At Albertson's, that's something we want you to experience every time you shop. And, we're so proud of the savings we can offer you… That we draw attention to it on every receipt! Albertson's…It means a Great Deal! "when you can buy more for less,"
They're not particularly conversational, yet that's what the spot calls for. "…that's something we want you to experience every time you shop. And, we're so proud of the savings we can offer you…That we draw attention to it on every receipt!" The word "we" tells you that you work for the company. If you ever see "we" in copy, as well as "our" or "us," you know you're the spokesman for the company. So where are you in the company? In the corporate offices or in one of their stores? Chances are you're in the store. And if you're in the store, what's your job title? Cashier? Stock boy? Produce clerk? No! These people are too busy with their department. There's only one person who's got the big picture of what the store offers, and that's the manager! Well, if you're in the store, who else would you be talking to? A customer, of course! Possibly a new customer, maybe a local customer who takes advantage of Albertson's savings. Another no-brainer: in the store! Okay, so now that you've established who you are, who you're talking to, and where you are, you've got a good sense of place and purpose to establish a simple, credible back story. Now this is a story that you'll say out loud. You're in essence going to create a make-believe mini-conversation before the copy starts - take a beat - and then launch into the copy. "Gee, it's raining outside." (beat) "There's always one sure way…"
It's got to be a realistic setup. Something simple, but something that leads up to the first line. Mrs. Jones: Hi, Mr. Cashman, how're ya doin' today? Me: Great, Mrs. Jones, how 'bout you? Mrs. Jones: Super. Say, remember when we met you told me how much money I'd save shopping at Albertson's? Mrs. Jones: Well, I just wanted to show you my receipts from the past three months. I saved over $300! Me: Wow, that's terrific! As a matter of fact, I do remember telling you that…(beat) There's always one sure way for you to tell if you've gotten a great deal. When you can buy more for less! Now, that is true savings! By coming up with a mini back story, you've established the conversational tone that'll carry over into the stilted copy you've got to impart. In fact, whenever we have to make awkward copy sound good, I call it "polishing a turd." The whole point here is warming up before you jump into copy cold. There's a simple analogy here. Have you ever stayed in a cabin on a lake during the summer? If you have, the lake usually had a pier jutting out from one of it's shores, and sometimes there'd be a little floating island not far from the edge of the pier that you could swim to. Now imagine it's very early in the morning, and you're standing at the very edge of the pier, with your toes curled around the edge, your knees slightly bent, ready to jump in the water. The water's smooth as glass-and very cold! But you jump in anyway, and when you come up … you're freezing! The water's cold, cold, cold! Why? Because you didn't warm up before you jumped in! Now, let's rewind this scene. This time, you're in the cabin, it's early in the morning, but you tiptoe past your cabin-mates, slowly open the front door, slowly close it, and look at the lake with anticipation. Then … you run across the porch, run down the stairs, run down the lawn, run across the beach, run down to the end of the pier … and then jump into the water! You come up and … Ahhh! The water feels great! Why? Because you warmed up before you jumped in!! If the copy calls for a ton of energy, rev up before you dive in. If it calls for you to be quieter and thoughtful, sit on a stool and start the beginning of a nice, quiet conversation. Whatever the direction calls for, establish the tone before you start reading, and you won't be halfway through the copy before you're warmed up. Marc Cashman is a voice acting instructor who knows "both sides of the glass" - as a Clio-winning radio and TV commercial copywriter, producer and casting director, and as a working voice actor. As Creative Director of Cashman Commercials, he creates, casts and produces copy and music advertising for brand name radio and TV clients. Voted one of 'The Best Voices of the Year' three times by AudioFile Magazine, he is also heard voicing radio and TV commercials, documentaries, animated series, video games, e-Learning modules and has narrated over 100 audiobooks. 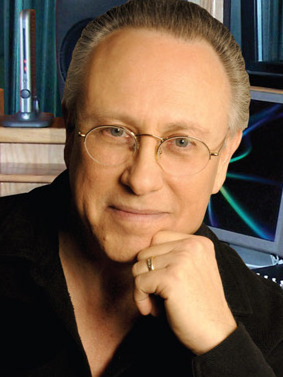 And through his Cashman Cache of Voice-Acting Techniques classes in L.A. and online coaching, he instructs voice acting at all levels. 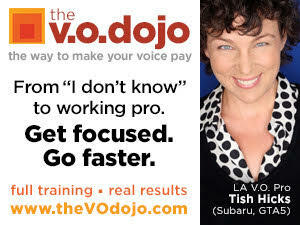 Nov. 20 Webinar: Commercial VO Delivery Secrets That Will Make Your Head Explode! I love listening to your advice. Always helps me. Thank you. Good, we will see how much I benefit from your tip.